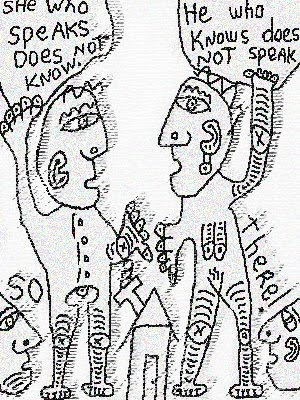 Diaristic Notations: She Who Speaks Does Not Know . . .
Lao-Tzu wrote: He who knows, does not speak. He who speaks, does not know. I read it I laughed and the first thought that came to my mind was "I dont know"